302 Skincare Kits are amazing! Get all the products you need for your skin type in one convenient kit. They are great for traveling, too. SkinCare by Alana offers nine of these valuable kits. Read about a few of the choices below and see why you should add these products to your skin care routine! 302 Skincare Aging/Visible Regeneration Kit Rx – Kit contains 302 Drops Rx, C-Boost Rx, Sensitive Cleanser Rx, Face & Body Bar Rx, Calming Mist Rx, and Moisturizing Drops Rx. These products are included in a White Mesh Zippered Bag along with an Instruction Booklet. Serious care for aging skin! 302 Skincare Uneven Pigmentation Kit Rx – This kit includes 302 Drops Rx, A-Boost Rx, Lightening Drops Rx, Remedy Rx, Sensitive Cleanser Rx, Face & Body Bar Rx, Calming Mist Rx and Moisturizing Drops Rx. All this comes in a convenient White Mesh Zippered Bag with an Instruction Booklet. Try this product and help even out your skin tone! 302 Skincare Client Introductory Kit RX- Great kit for getting started with 302 products! It contains Sensitive Cleanser Rx, Calming Mist Rx, Face & Body Bar Rx and Remedy Rx. Keep your productsorganized in a White Zippered Bag and learn more with the enclosed Instruction Booklet. 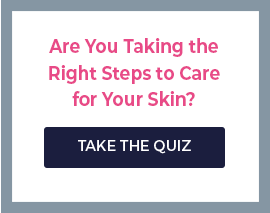 I would like to try 302 Skincare Kits! Skin Care by Alan is the perfect choice when buying 302 Skincare Kits! Since this is a powerful beauty aid, you will need to get a free consultation from one of our experts in order to purchase this product. We want to make sure you get the product you will benefit most from. Chat with us online or call us (888-222-0637) and let us help you find the right 302 product for your skincare needs. We are open seven days a week and ready to answer your questions! Free shipping is available on all US orders. Take the first step in getting the skin you want; call us today!